On a freezing night in January 2013, an assailant hurled acid in the face of the artistic director of the Bolshoi Ballet, Sergei Filin. 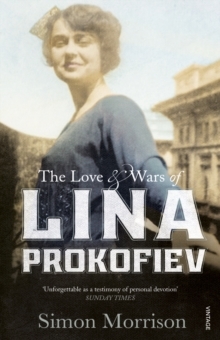 The crime, organized by a lead soloist, dragged one of Russia's most illustrious institutions into scandal. Under Vladimir Putin, the Bolshoi Theatre has been called on to preserve Russia's lengthy artistic legacy and to mirror its neo-imperial ambitions. As renowned musicologist Simon Morrison shows in his tour-de-force account, the attack, and its torrid aftermath, underscored the importance of the Bolshoi to the art of ballet, to Russia, and to the world. 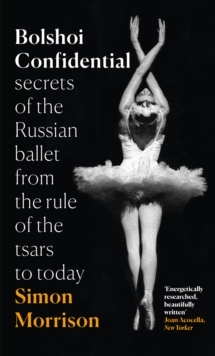 With exclusive access to state archives and private sources, Morrison sweeps us through the history of the ballet, tracing the political ties that bind the institution to the varying Russian regimes, and detailing the birth of some of the best-loved ballets in the repertoire. From its disreputable beginnings in 1776, the Bolshoi became a point of pride for the tsarist empire after the defeat of Napoleon in 1812. 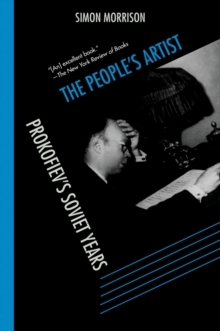 After the revolution, Moscow was transformed into a global capital; meetings of the Communist Party were hosted at the Bolshoi, and the Soviet Union was signed into existence on its stage. Recently, a GBP450 million restoration has returned the Bolshoi to its former glory, even as prized talent has departed. The Theatre has been bombed, rigged with explosives and reinforced with cement. Its dancers have suffered unimaginable physical torment to climb the ranks. 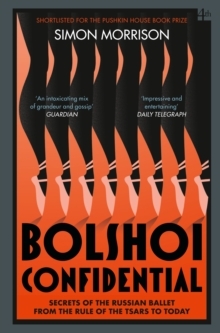 But, as Morrison reveals, the Bolshoi has transcended its own fraught history, surviving 250 years of artistic and political upheaval to define not only Russian culture but also ballet itself.